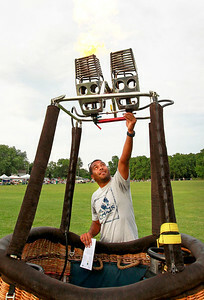 Candace H. Johnson Andres Padilla, of Waukegan ignites the burner of the Re/Max balloon during the Color Aloft Balloon Festival in Central Park in Grayslake. The balloons were not inflated due to bad weather. 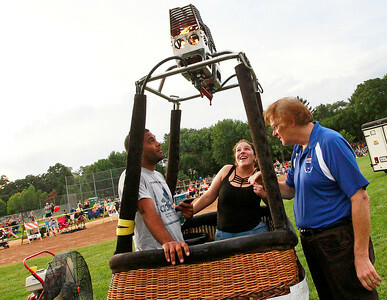 Candace H. Johnson Andres Padilla and Maria Hoyos, both of Waukegan stand in the basket as they talk with Bennett Schwontkowski, a pilot for the Re/Max Northern Illinois balloon, about the burner during the Color Aloft Balloon Festival in Central Park in Grayslake. The balloons were not inflated due to bad weather. 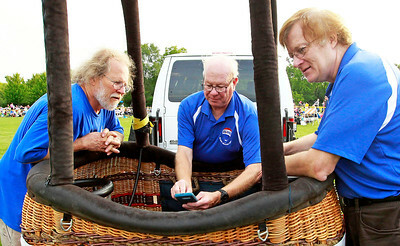 Candace H. Johnson Jim Neill, of Riverwoods, Pat Hall of Naperville and Bennett Schwontkowski, of Cary check the radar for bad weather during the Color Aloft Balloon Festival in Central Park in Grayslake. The balloons were not inflated due to weather conditions. 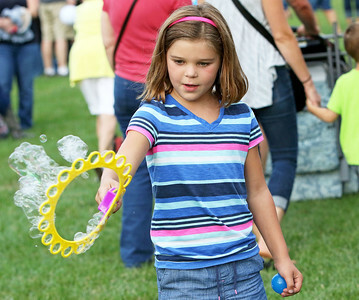 Candace H. Johnson Stella Lenox, 7, of Volo plays with a bubble wand during the Color Aloft Balloon Festival in Central Park in Grayslake. 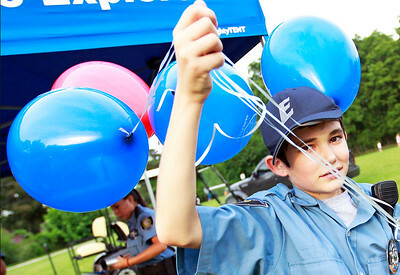 Candace H. Johnson Jeffrey Myhra, 14, of Antioch, a Law Enforcement Explorer, passes out balloons during the Color Aloft Balloon Festival in Central Park in Grayslake. 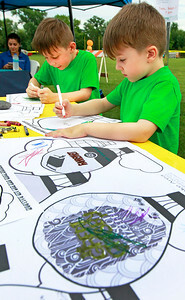 Candace H. Johnson Elliot Scharm, 6, of Lake Villa and his brother, Silas, 5, color balloon pictures during the Color Aloft Balloon Festival in Central Park in Grayslake. The Grayslake, Lake Villa and Round Lake libraries sponsored the coloring table. 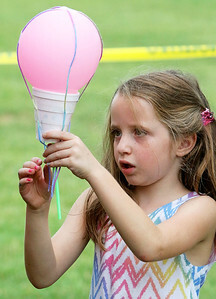 Candace H. Johnson Maria Battaglia, 6, of Arlington Heights works on her balloon craft during the Color Aloft Balloon Festival in Central Park in Grayslake. The craft was sponsored by Old School Montessori in Grayslake. Andres Padilla and Maria Hoyos, both of Waukegan stand in the basket as they talk with Bennett Schwontkowski, a pilot for the Re/Max Northern Illinois balloon, about the burner during the Color Aloft Balloon Festival in Central Park in Grayslake. The balloons were not inflated due to bad weather.